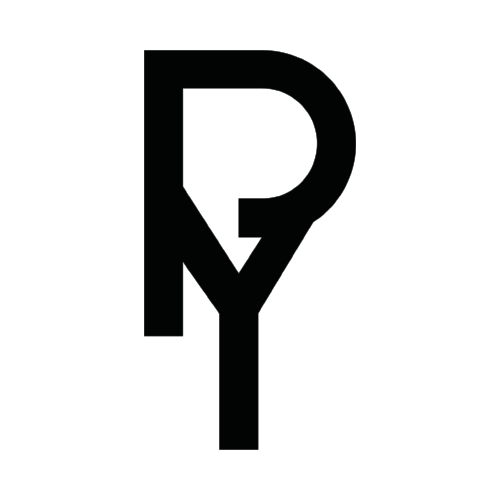 I now head to Belgium to interview the fantastic Polar Youth. She has been talking about her latest single, All Night, and working with DJ Fresh and Georgie Allen on the track – Polar Youth talks about future material and signing to Virgin EMI. 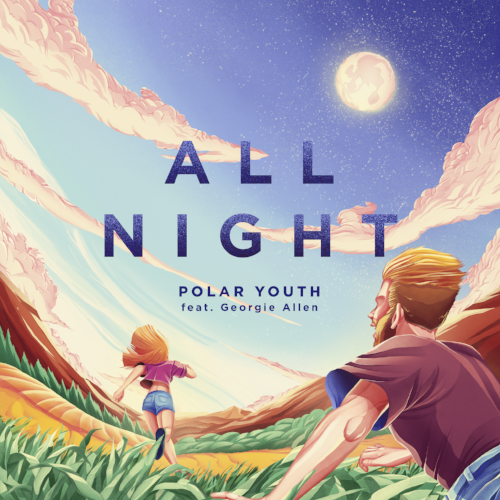 I ask which artists inspired her growing up and what the differences are between music in Belgium and the U.K.; whether there are tour dates coming up – Polar Youth ends the interview by selecting a cool track. Hi, Polar Youth. How are you? How has your week been? Hey! I’m good, thank you. Hectic! I’m moving into my new place and I forgot how much time goes into that…and, of course, I’m very busy promoting my new single. Like it’s written on my social media: I’m ‘’a 23-year-old girl from Belgium who makes music she likes”. I’ve been producing music on my laptop since I was twelve. I learned to play the guitar before that and, at the age of sixteen, I learned to play the drums – but, most of all, I love to play the piano. 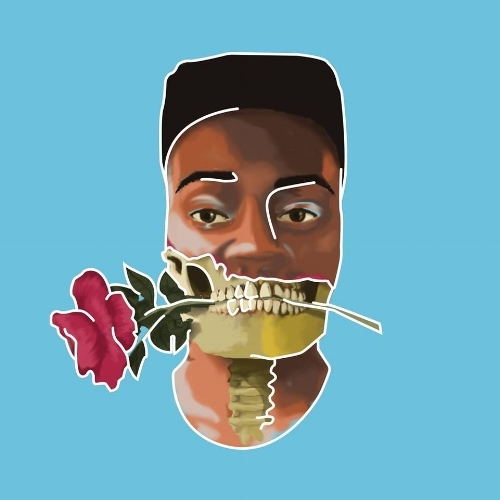 My music is mainly inspired by Electronic music and Hip-Hop. I live in the beautiful city of Ghent where I love to hang out with my friends in the many clubs and cafés in the city. All Night is your new track. Is there a tale behind the song? I was fortunate enough that some of my earlier music was picked up by DJ Fresh. I met him at a concert in Ghent and, after I had sent him a few of my tracks, he was so kind to invite me in his studio in the U.K.
One of the demos I had sent him was an early version of All Night. It is a big and bold song. Was it a challenge putting it all together? How do you approach producing a track like All Night? I had been working on that track for some time. Initially, the tempo was slower than it is now. For some time, it was just one of those tracks sitting on my hard-drive but, when DJ Fresh asked me to play him some of my music, I also chose that track because I really felt it had something. Playing that track to Dan (DJ Fresh) was exactly the right time to take it out of my hard-drive. His first idea was to make it more up-tempo. He also invited the amazing singer Georgie Allen to do the vocals on that song to make it into the final version. We were in his studio for four days and we worked really hard on the track. We had a great time - and I was learning so much from DJ Fresh. Do you have more material planned for later in the year? I just released an official remix for Sarai a couple of days ago. Sarai is an amazing artist from Australia. When she asked me to remix her latest single, Get to You, I immediately said ‘yes’. As for other plans, even though it’s very hot and beautiful outside, you’ll mostly find me in the studio during this summer…that’s all I can say for now. You just signed to Virgin EMI here in the U.K. How excited were you when that happened? How supportive have they been? This was all new to me, so it took me a while before I realised how big this was going to be for my career; to be able to work together with Virgin EMI. To be honest, I couldn’t have thought of a better company to work with. They have been so supportive and they have such a great team. They really listen to what I have to say instead of just seeing me as a money-making machine. They care about the artist; they care about the music and they are professional – it has been a great experience. You are unique but I wonder whether you have music idols? Who do you count as inspirations? It surprises quite a lot of my friends every time I say this, but my biggest idols are Nicki Minaj and Post Malone. They make amazing music and are (so) unique in their own ways. Very often, I am also inspired by my fellow producer buddies from all over the world. We listen to each other’s music, talk about it…it’s a great source of inspiration and feedback. Originally from Belgium; what are the main differences between the music scenes there and in the U.K.? I really noticed how open-minded the music scene in the U.K. is. I talked about this too with Dan (DJ Fresh) when I was with him. I feel like U.K. radio shows are more focused on good music instead of what’s charting in the top-50 - and they give new up-and-coming producers a lot of support too. In Belgium, the music scene is great too and I have worked with some of the finest artists here but, sometimes, I have the impression that people here are a bit less bold and less daring with respect to new music and new styles. Having said this, it is great for a young artist like me to be able to work in so many different environments. Lately, I’ve been very focused on getting tracks done, more than anything else, and as I said I will also spend the better part of the summer in the studio - but you will certainly be able to see me later this year. I hope that, in 2018, I will be able to touch a lot of people with my music. I am also working hard to finalise the new tracks and I am putting together a show for later this year. I hope to see my fans there and thank them for their support. The time I was in the studio with Dan (DJ Fresh) and his team was absolutely magical. These four days were hard work but also a lot of fun. I learned a lot about music and about the industry. Sometimes, other producers would just come by to say hello and then we let them listen to our progress of All Night. Their input and encouragements gave me a boost to finish the track. We were all in such high spirits and we worked day and night. I will never forget this. Definitely, Post Malone, I’ve never seen him live but his music is amazing and he’s such a down-to-earth person. My rider would contain fruits like kiwis and bananas for before the show and a delicious pack of fries with mayo for after the show. The most important thing is to keep working and don’t give up. I know a lot of people say this but that’s because it’s 100% true. My dude Lani Rose from the U.S.A. He’s an amazing producer AND also a top-notch singer-songwriter. A huge shout out to Laxcity. He’s an awesome producer from the U.K. and I hope one day more people will recognise how talented he is. Also; check out SARAI and The Endorphins (yes, I know, I made a remix for them). I have two cats which help me to relax during breaks. I also go out with my friends in Ghent. A big hobby of mine is gaming, so that’s also how I spend some of my time not working on music. I’m also passionate about motorcycles. Riding around on my bike after a day of work is one of my favourite ways to wind down and clear my mind. People say what they want about her, but I think she’s an amazing artist.